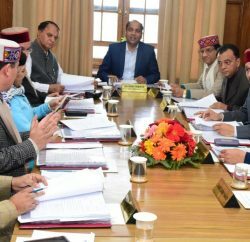 The Himachal Pradesh cabinet has decided to opt for re-bidding for 960 MW capacity Jangi-Thopan-Powari in Kinnaur district. 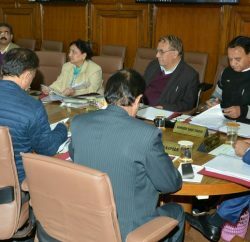 The cabinet in its meeting under Chief Minister Virbhadra Singh has rejected the representation of M/S Brakel Corporation NV and Ms. Reliance Infrastructure. Jangi-Thopan-Powari hydropower project was under litigation between the Netherlands-based Brakel Corp. and Anil Ambani-led Reliance Infrastructure. Earlier, in Oct 7, 2009, on a petition filed by Reliance Infrastructure, one of the bidders, Himachal Pradesh High Court has cancelled the allotment of the project to Brakel Corp and the Netherlands-based company has approached the Supreme Court against the ruling. Subsequently, the state government decided to invite fresh bids for the project. It even decided to forfeit the company’s upfront premium of Rs.280.69 crore deposited with the government for delaying the implementation of the project. The state government signed an agreement with Brakel in 2008, two years after the project was awarded to the Dutch company, for starting the pre-construction activities for the project. The government, as per the agreement, was entitled to get 12 percent free power from Brakel. The government would now go for fresh bidding of the project as per state’s amended power policy in 2008. Under the new policy, the bidder who offers more free power to the state in addition to the fixed quota would be allotted projects. The fixed quota is 12 percent free power for the first 12 years, 18 percent up to 30 years, and 30 percent up to 40 years. After 40 years, the project will be handed over to the government. The free power bidding is in addition to the fixed upfront premium of Rs.2 million (Rs.20 lakh) per megawatt. The Thopan-Powari-Jangi hydropower project was aiming to generate 4,000 million units per year and delay in construction is costing about Rs.250 crore annually to the state government. As per the State Infrastructure Development Board (SIDB) assessment, delay in commissioning of the project has already cost state Govt for Rs.1,400 crore.